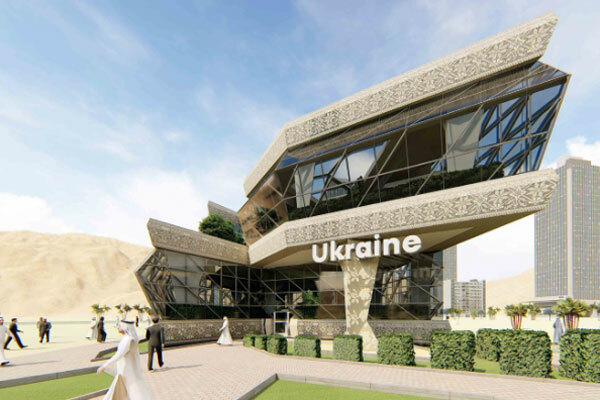 Ukraine has unveiled its new Expo 2020 Dubai pavilion with focus on Smart life; Smart thinking and Smart feeling. These are the three zones that comprise the Ukraine Pavilion, as the Eastern European nation investigates solutions to humanity’s problems through collaboration, creativity and common sense. To date, 190 countries have confirmed their participation at Expo 2020 Dubai. Each nation will have its own pavilion, a first for a World Expo, and more designs will be announced in the coming months, said the event organisers. Ukraine is incorporating the three Expo 2020 Dubai subthemes of Opportunity, Mobility and Sustainability into its journey – with a focus on improving living standards, using resources efficiently through sharing and balancing our needs today with those of future generations, they stated. According to them, the nature lovers will be impressed by the abundant nature found inside the pavilion, with picturesque flora helping to create a restful ambiance. There will be plenty of entertainment as well – from fashion shows to topical seminars, and national cuisine to creative performances, said the organisers.